For me, there is nothing cozier than cuddling up on your sofa and watching a holiday classic with family during the holidays. A throw is a chic way to accessorize your sofa while also keeping you warm and cozy with your closest ones. The only negative about this throw - I never seem to keep my eyes open during the movie when bundled up! A fabulous holiday candle is a perfect way to set the tone in your home during the holiday season. My go to holiday scent is the Holiday Collection by Fleur. It's inviting and smells like Christmas, what else do you need? Of course you need a cute match bottle to go with your holiday candle. 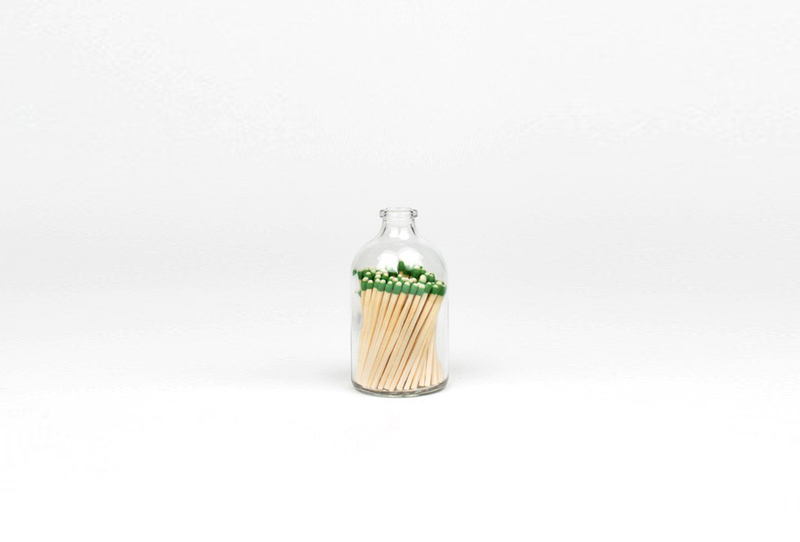 This match bottle looks adorable paired next to your candle or is also a great, little hostess gift! Everyone needs a killer holiday dress. This year I've gravitated toward this fuschia cocktail dress to turn things up! The silhouette is clean but fun and also leaves room for that extra cookie! A statement earring is a great way to have fun with your holiday look! I am obsessed with Rebecca De Ravenel's Hoop La La Claudia. This earring is festive and light and obviously you cannot go wrong with the powder blue color! Looking for a holiday heel that's versatile? I love this pump by Louboutin, it is fun and whimsical with the pom pom detail but the suede material and shape also give a luxurious and sophisticated look. Perfect for the office or a party! 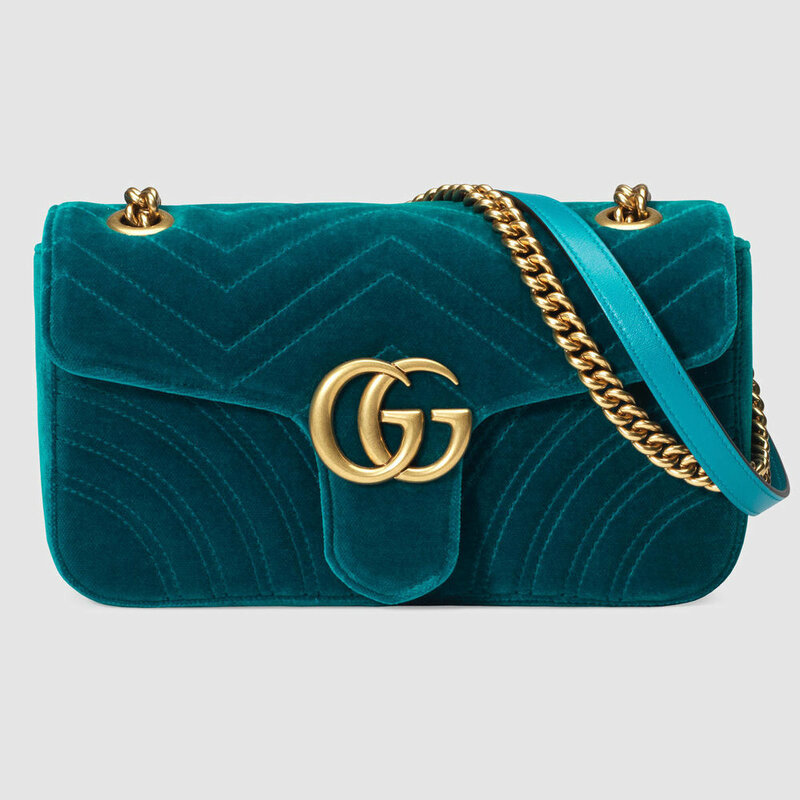 I cannot live without my favorite velvet Gucci Shoulder Bag. The texture is divine and the emerald green color is so very festive for the holiday season. Who says you can't look adorable when you wake up for Santa? Looking oh so chic when opening presents under your tree is easy when you're wearing blue gingham pajamas! How can one resist a holiday cookie? Maman NYC Cookies are my favorite during the Holiday season. They come packaged in a festive box, and include a combination of the most delicious holiday flavors, making this the perfect gift for the sweets lover! Every martini needs a friend and cocktail napkins by Hibiscus Linens make the perfect pair. The hand embroidered detail is so darling it makes you be extra careful not to spill! Entertaining in my home is one of my favorite things to do, especially during the holidays. And having beautiful crystal around not only helps with presentation but it also makes me genuinely happy. William Yeoward Crystal is my best sous chef, always helping me step up my soirees! A jewelry box is such a special and personal gift. I have three daughters, and they each love to borrow my jewels, so it makes for a special gathering when we pick out the jewelry together. Aerin offers the most feminine and luxurious jewelry box that is easy on the eyes! The perfect gift for an architecture lover or design obsessed, Gil Shafer's new book is an ultimate inspiration. It's a fabulous book to get lost in while reading next to a perfectly lit fireplace.